The Travel Media Awards 2019, in association with Malta Tourism Authority, are now open for entries. The 2019 awards continue to recognise the influential role the travel media industry plays in the holiday and travel business decision-making process and brings with it this year a new venue and revised categories. 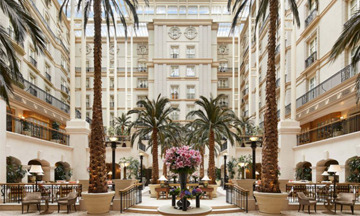 The ceremony will take place at Landmark London on 21 October. 4 March - awards launch, open for entries. 23 May - entries close. 27 August - announce recipient of Special Contribution Award. 2 September - announce finalists. 21 October - the ceremony.